Happy Mother's Day to all you Moms reading this! I hope you're having a wonderfully relaxing day. 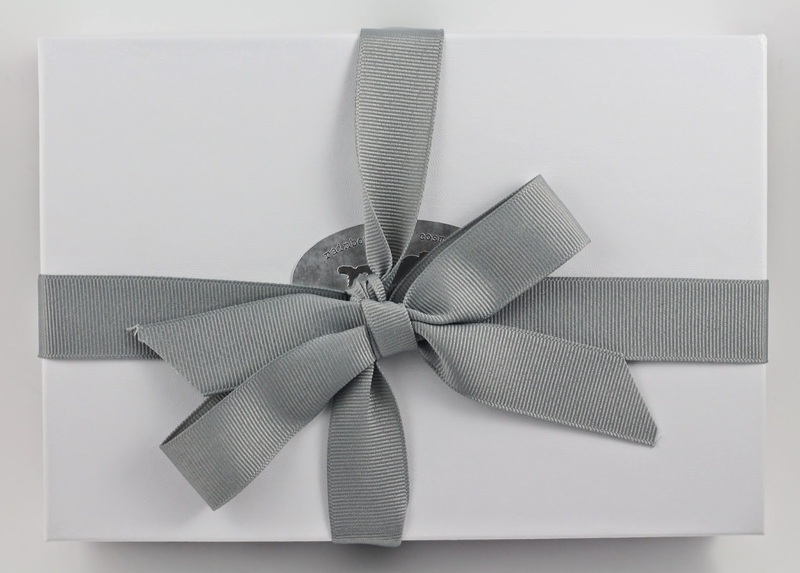 I've been loving Rainbow Honey more and more lately, so when I got an email letting me know I could pre-order a Limited Edition Mother's Day Mystery Box, I jumped on it! They had two variations in scents, French Lavender (which is what I got), and Sakura Matsuri. I have a cuticle balm of theirs in the Sakura Matsuri scent, and it's nice, but I didn't know if I wanted what I assumed would be bath and spa sort of stuff in that scent, so I got Lavender. I will admit there was a moment or two where I was sure this wouldn't get here for Mother's Day, which Rainbow Honey did guarantee. But it amazingly arrived yesterday, so I was thrilled even though this wasn't for my mom at all, but for me! My mom already got her presents, and she never would have cared for glitter polishes! I absolutely love that Rainbow Honey takes such pride and care in wrapping and packing anything they send out. I've always received my orders double envelope wrapped, and this arrived without any damage because of it. And look how cute that packaging is! The bow is a nice touch. I could already smell this before I even opened the box, but once I got the first look I was pretty excited! I saw some small photo spoilers around for the other scent so I had no idea if the Lavender would have the same items. It did! Just all the Lavender items were in the Sakura scent for the other box. I love the info card too! A detailed list of all the included items. All of these are not yet available on the Rainbow Honey website, but I imagine they will be soon. I love getting an in depth look before they officially release though! 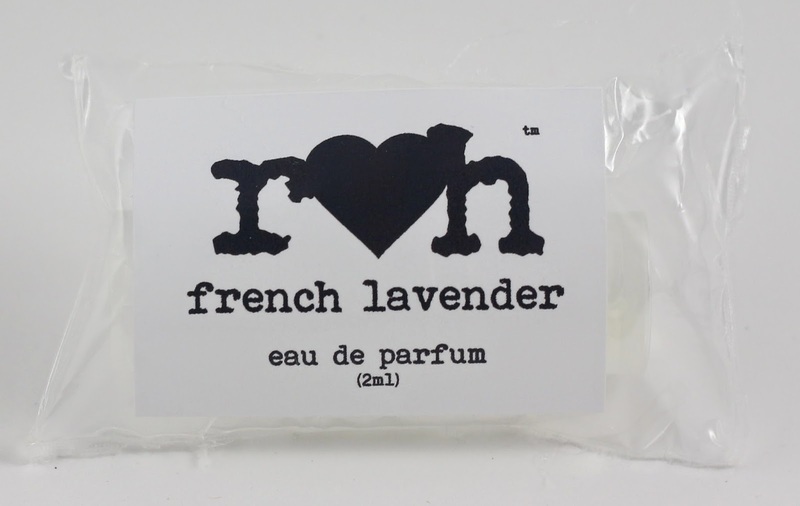 French Lavender Hand Cream - This is a really generous size, and it's really thick. It does seem a bit greasy, but the lavender scent isn't too overpowering and you only need 2-3 swipes of your finger to have enough to cover your hands. French Lavender Perfume Sample - I like their little perfume samples, but mine leaked a little in the tiny bag it comes in because my cap is cracked. Not a big deal, just means I can't travel with this one, which I don't know if I'd want to anyways. 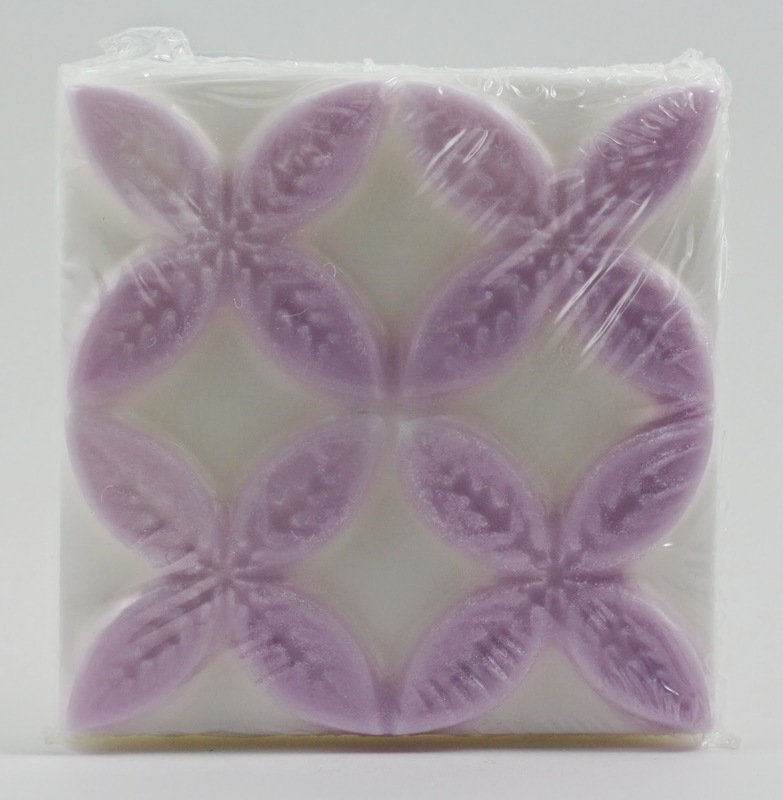 French Lavender Soap - I think the little flower design on this is so cute, and I love that it's even purple to match the scent. Add this to my body wash/soap stash, I have enough now to last me a lifetime, I think it's official now. Even though I saw the spoilers for this box, I couldn't for the life of me remember what the polishes looked like, so this was a nice surprise! They are really pretty and it even came with a mini French Lavender scented top coat! They are so pretty and shimmery! I am excited to try the top coat because I'm in the market for a new one, and I'm interested to see how well you can smell it! In the bottle it just smells like nail polish to me, so I think it's supposed to smell once it's dry on your nails. Overall, this box was definitely worth it for me, it was $25 for the box plus like $5 for shipping I believe, because it was guaranteed for Mother's Day and they sent it 2-day Priority. The nail polishes are full size which are $10 each, and the top coat is $4-5, so that's $25 right there, plus there are all the other wonderful items! 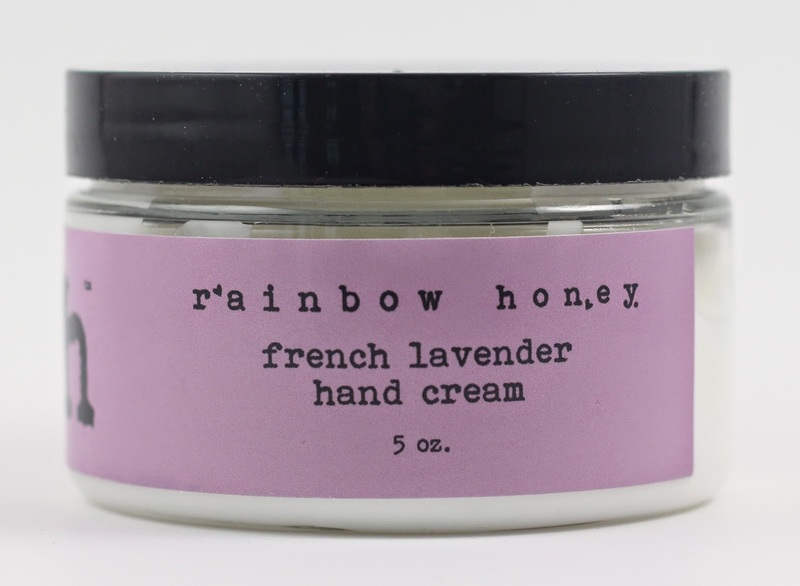 I can't wait until Rainbow Honey sells some of these, I would be interested to try the soap or the hand cream in other scents. Although I'm glad I didn't get the Sakura scented box because I don't know that I would enjoy that as much for relaxing spa type products, but I do also hope they offer these items in other scents. 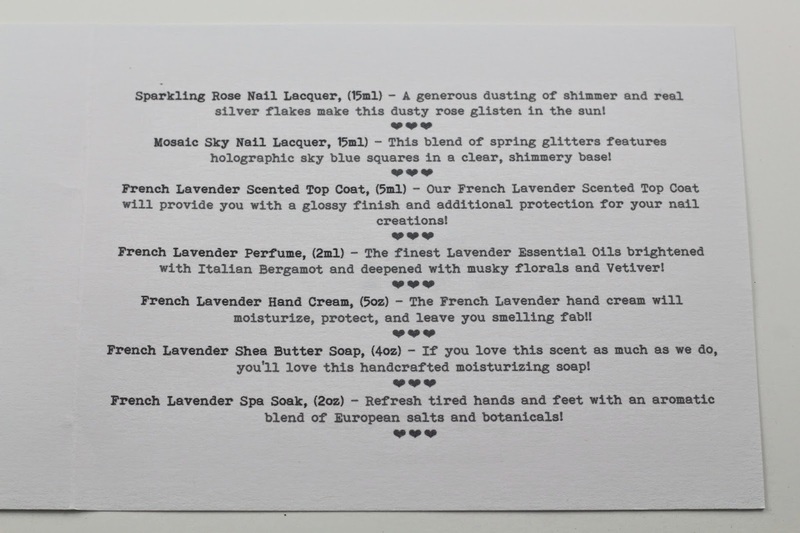 The French Lavender is nice, and I was a little worried it would be too much for my headache-prone head to handle, but it's not too bad, but I think it could use maybe some vanilla to cut down on the powerful lavender scent. It's a lot. I think lavender is supposed to help with headaches so maybe that's why I smell it and instantly think I will get a headache but don't. So I guess that's a good thing? Right? I think so. 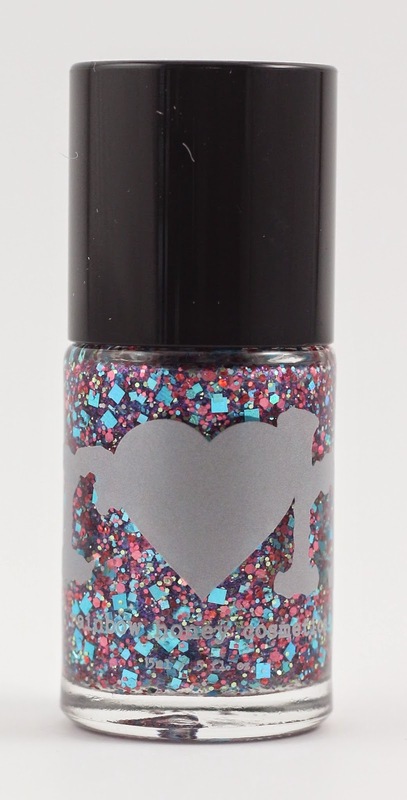 Sorry to be a bother but would you mind telling me the ingredients for the top coat? I was interested in getting it but on their website they seem to list the exact same ingredients as the cuticle balm.. The bottle actually doesn't have the ingredients list on it. I would try shooting them an email, they are super helpful!